UGA officials have also begun an investigation regarding the students featured in the video, university spokesperson Greg Trevor told The Hill. 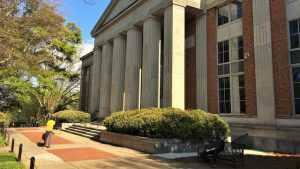 The video showed an unidentified man using racist language and “engaging in behaviors that mock the suffering of enslaved peoples,” a statement from UGA’s Student Government Association said. The national fraternity issued a statement in response to the video saying it was “disgusted, appalled and angered” by the actions featured in the video. “TKE does not condone or support any actions by its members that would be defined as racist, discriminatory and or offensive,” the statement continued. UGA has also released a statement in response to the video, stating that any conduct deemed racist or discriminatory is referred to the Equal Opportunity Office. UGA’s Tau Kappa Epsilon chapter has been ordered to cease all operations effective immediately, including any chapter activities and social events.